A 3D collectathon platformer. The structure is hub-and-spokes, with an explorable hub area and a series of three zones each containing three levels that can be played in any order, plus one special level at the end. Each of the regular levels has a variety of collectibles to find and tasks to perform, and once you’ve completed enough in each of the three levels you unlock the zone boss fight granting access to the next zone. There are some repeated tasks - every level has a time trial and a couple of tasks involving a few different kinds of collectible. There are also a variety of unique tasks, including standard platforming challenges and such but also a number of one-shot mechanics that keep things fresh but are often a bit unpolished. The game doesn’t have a lot of levels, but they are huge with plenty to do and will take some time to explore and complete fully. There’s perhaps too many collectibles - particularly the opals of which there are three hundred in each level. This turns exploration from “Hey, let’s go over there and see what interesting thing there is to do” to “Let’s make sure to go literally everywhere to get all the collectibles and along the way we’ll find the other tasks to complete.” Fortunately, the levels are varied, distinctive, and generally fun to explore. Combat is quite easy - most enemies are ineffective and it was rare for me to take damage from them. Bosses are also usually easy once you know what to do - but that can be surprisingly hard to figure out. Trial and error got me there for most, but there were a couple I had to look up online. The platforming is competent, if a bit vanilla - Ty doesn’t have any unusual or advanced movement abilities (which makes the time trials fairly pointless as there’s very little skill involved) but the standard run, jump, glide, and swim all work fine. 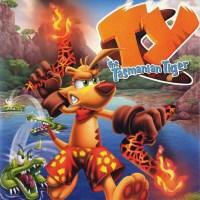 There are two things that make TY stand out - first, the setting of Australia with characters based on local wildlife and gorgeous levels. Second, the boomerangs that serve as Ty’s weapons and tools. They’re iconic and well integrated, providing both Ty’s glide and his ledge-grab while also being the primary method for attacking enemies (Ty also has a powerful bite attack for when they get too close). You unlock a series of elemental boomerangs as you proceed through the plot which have interesting effects on enemies and relevant environmental features (the flamerang melts snowdrifts while the frostyrang puts out fires, for example); one of the in-level collectibles can also be turned in to unlock “technorangs” with other features such as targeting multiple enemies, zooming in for sniping, or triggering huge explosions. While there isn’t much to TY that’s mechanically unique and certain aspects lack polish, the game gets a lot of charm from leaning into its Australian setting and it’s a lot of fun to collect and use the various boomerangs. It’s a worthy start to a franchise and I’m interested to see where they take things in the sequels. I Stopped Playing When: I finished the game with all collectibles aside from the picture frames. The picture frames are ridiculous.